As a sport SUV, the Hyundai Santa Fe sport is one of the safer ones out there in no small part because of its HTRAC all-wheel drive that handles each wheel individually for optimum control in bad weather conditions. It also comes fully equipped with a smart cruise control system that stops and starts whenever it detects ongoing traffic close to you. Would you like to experience the Hyundai Santa Fe Sport for yourself? 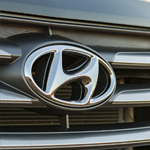 Set up an appointment with a sales professional at Fox Hyundai in Grand Rapids so you can test drive one as soon as possible.